Do you have dynamic Health and Fitness professionals within your organization who are capable of teaching BodyLogic's proven injury prevention programs in house? If the answer is yes, then our Facilitator Training programs are made to suit your needs. 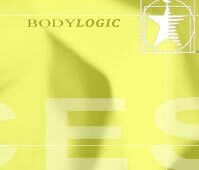 BodyLogic will facilitate the entire process, starting with the formation and composition of the team, through targeted ergonomic education, and putting in place robust structures and procedures. The team will learn how to recognize ergonomic hazards in the work place, develop solutions, present the alternatives to the decision makers, and help with implementation. The team will also be responsible for the ongoing raising of awareness of ergonomic safety in the plant. Periodic follow-up is strongly encouraged to maintain momentum generated by the initial training, train new members as needed, and assist in problem solving when additional expertise is required.